Best clock will always stand for best sound. Now you have both on the go. The competitive price and elegantly small footprint make LiveClock the perfect choice for all location recordists, home studio producers or traveling artists. The LiveClock utilizes the same clocking technology as (and therefore sounds as amazing as) Antelope's legendary Trinity or latest OCX HD master clock. A unique audio master clock in terms of size, sound quality and price, designed to perfectly suit any live sound set up. Fitting perfectly into a FOH console dog house, the clock carries the signature Antelope sound packed in a robust aluminum case with a lockable touch screen. Taking up just 1U space and with additional rack ears, it's a breeze to set it in the rig. LiveClock supports up to 192 kHz sample rate, distributed via four Word Clock outputs on BNC and two pairs of AES/EBU and S/PDIF outputs. 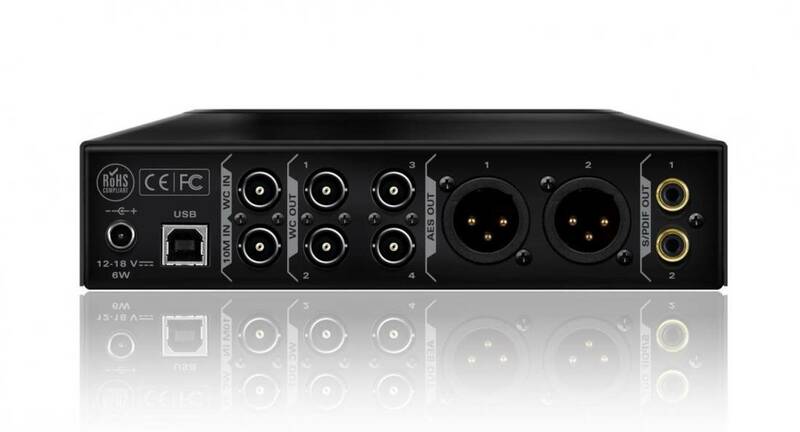 The unit allows simultaneous clocking of multiple devices, providing the perfect synchronization of either a large live rig or a contemporary studio set up. A 10 MHz input for connection with Antelope's 10MX or 10M offers even greater stability and sound quality. 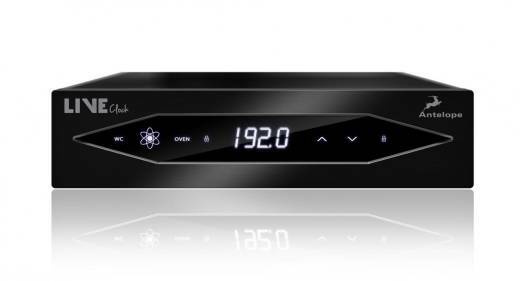 The new LiveClock is easy to configure via the sleek touch buttons. The convenient 'Panel Lock' function prevents from sampling rate changes during a session or live show. The LiveClock features an exciting new approach to control, allowing convenient device management from various access points. All aspects of the device are easily operated via the OS X and Windows software applications and fully controllable from multiple computers. • Power Consumption: 6W max. • Additional Info: Internet connection required for product activation.